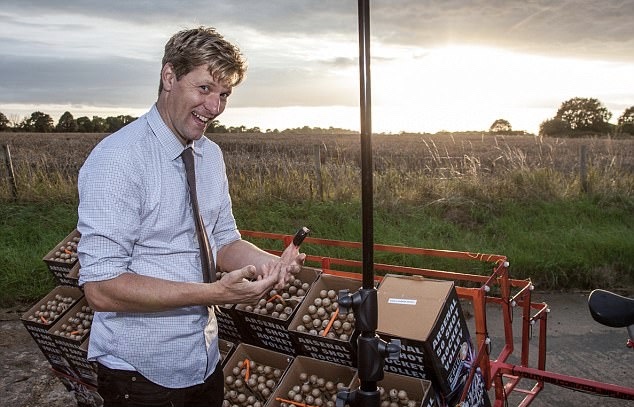 Inventor Colin Furze sets off ONE THOUSAND ROCKETS from the back of his custom-built BICYCLE in a pedal-powered fireworks spectacular. 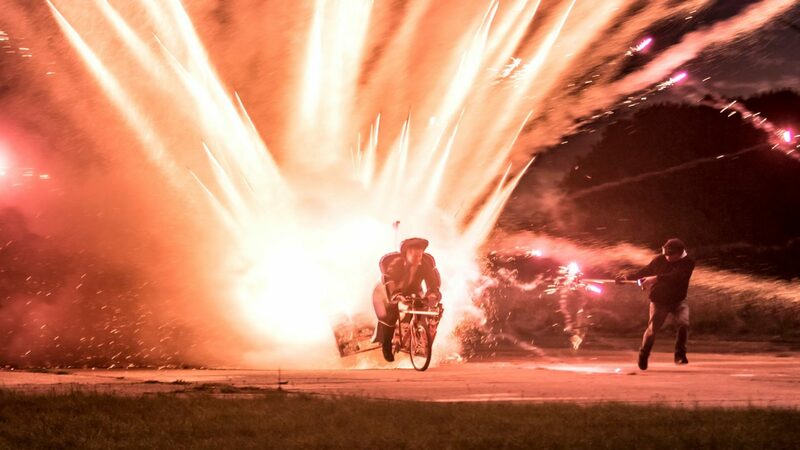 As a YouTube-famous inventor Colin Furze is well known for his explosive creations. But he really has outdone himself this time by taking a simple bicycle and powering it by the thrust of a thousand fireworks. The video shows Furze about to blast off on his custom-built rocket-laden bicycle near his Lincolnshire home. Waiting for the sun to set, sets off batches of the fireworks by pushing a button on the bicycle’s handlebars. He essentially turns into a moving parade of firework. He said: ‘When I was sitting on the bike, I was only one foot away from the first box of rockets, so I was quite nervous.